Guided by the Jewish values of tzedakah (righteous giving), chesed (loving kindness) and tikkun olam (repairing of the world), we bring the Jewish community together to help those in need and to strengthen and preserve the Jewish people at home, in Israel and around the world. Since 1946 the Jewish Federation of Southern Arizona has served as our community’s coordinating body for fund-raising, planning and communal services. The Federation helps sustain and improve lives. Your Jewish Tucson Concierge, Carol, can help you connect. Whether you are a newcomer or have been here a long time and want to explore the Jewish community, Carol can help you navigate our rich and diverse community. Call Carol for information on community resources, activities, events, classes, synagogue services and volunteer opportunities. 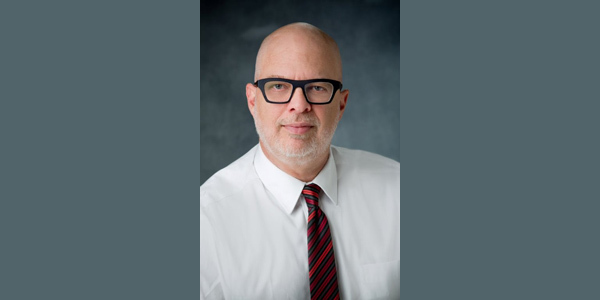 Jewish Tucson is a joint project with the Jewish Community Roundtable, Jewish Federation of Southern Arizona and the Jewish Community Foundation. The Tucson J is one of the finest community centers in Southern Arizona and is open to all. The recently renovated state-of-the-art fitness center offers up to 120 free weekly fitness classes. The J offers an excellent Early Childhood Education program, adult and children sports and recreation leagues, Summer & Winter Camp J, after-school J-Care, adult arts and culture classes, personal training, tennis courts and café. The J also is an event destination for birthday parties, conferences, meetings, proms and family life events. ADL is the world’s leading anti-hate organization. Founded in 1913 in response to an escalating climate of anti-Semitism and bigotry, its timeless mission is to protect the Jewish people and to secure justice and fair treatment for all. Today, ADL continues to fight all forms of hate with the same vigor and passion. We offer education programs like WORDS to ACTION: an interactive workshop to empower and equip Jewish students with constructive, effective responses to anti-Semitism and anti-Israel in their lives. Customized community or campus programs are available. Dedicated to providing, an open door environment for strengthening and enhancing Jewish values and identity to all people, regardless of background, color, philosophy or level of commitment. Chabad serves individuals and families looking for a non-judgmental, accepting, personalized Jewish experience. Our state-wide network includes: 20 Jewish community centers, 3 centers on college campuses, 5 summer camps, 3 preschools, 11 Hebrew schools, C-Teens, Friendship Circle, Smile On Seniors, Jewish Recovery Fellowship and JPhoenix Young Professionals. The East Valley JCC offers social, cultural and educational programs for youth, teens, adults and seniors; camps; and an accredited preschool for ages infant-pre-K. Programming includes arts and Israel cultural programs. No membership fee. Arizona’s first kosher food pantry. Open daily to meet emergency food needs. We offer warm kosher meals to patients and caregivers at hospitals, treatment centers, or at home. Rehab and hospice support services available, including visitation, transportation and meal delivery. Also offers patient advocacy for those in hospitals, nursing facilities and in the home. 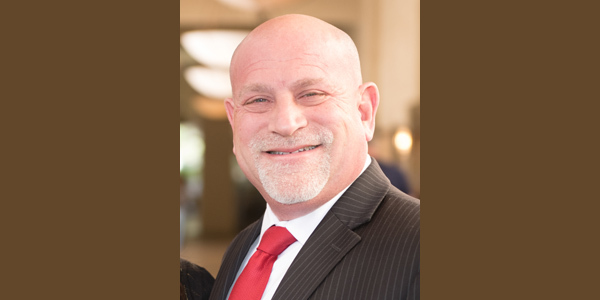 Ezras Cholim is a non-profit 501(c)(3) organization and is an indispensable part Phoenix community life. We need your support. We are seeking monthly contributions and volunteers. Gesher Disability Resources serves children and adults affected by a disability through inclusion assistance in the classroom, resource referral, residential support and social groups. Founded in 1985 as the Council For Jews With Special Needs, the agency now engages a larger percentage of the disability community and benefits more than 3,000 individuals through our events and services. Our mission is to support individuals with special needs and their families in the Jewish community to lead fuller lives. Jewish Family & Children’s Service helps to increase self-sufficiency and strengthen families through quality medical, behavioral health and social services. We provide counseling, emergency financial assistance, holiday giving, older adult services, mental health education programs, Jewish career services, resource information & referrals, Holocaust survivor services, hospital chaplaincy and sponsor the only Jewish Senior Center in Phoenix. The new Senior Concierge connects seniors to services such as legal assistance, home health care, educational classes and more. The Jewish Federation of Greater Phoenix strengthens Jewish life and identity by caring for Jews in need, enriching senior lives, engaging the next generation and building Jewish communities worldwide. JFL provides interest-free loans to enhance the quality of life of Jewish Arizonans. Loan programs include, but are not limited to, adoption/IVF, senior care services, special needs/disability assistance, education expenses, student loan debt retirement, Jewish summer camp and Israel experiences, medical/dental needs, debt consolidation, funeral/burial pre-arrangement, small business expenses and emergency needs. Confidentiality assured. We create awareness, education and provide knowledge to those of child-bearing age (18-45) of the genetic risks and options available to all couples within our community so that they go on to have healthy children, thereby protecting future generations. We also provide education regarding hereditary cancers, specifically the BRCA gene mutations associated with inherited breast and ovarian cancers found in the Jewish community. Through early detection and awareness, we help to save lives. In Hebrew, Limmud means “learning.” Limmud offers a full day of Jewish learning annually that is divided into individual sessions. Multiple programs, different presenters and a variety of topics are offered during each session. This unique format allows you to create your own Jewish experience, explore Jewish connections and meet new people. To learn more, attend a “Taste of Limmud AZ” in November. Limmud is an all-volunteer run organization and is always looking for more volunteers. The Valley of the Sun JCC is an inclusive community center that enriches physical, mental and spiritual growth through relationships and an array of offerings, including early childhood, youth, fitness, camp and senior programs. The J serves people of all faiths, backgrounds and abilities. 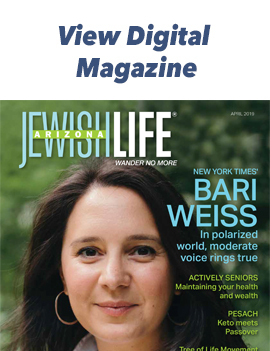 Arizona Jewish Life is the lifestyle magazine that celebrates the vitality, diversity, challenges and accomplishments of our community. 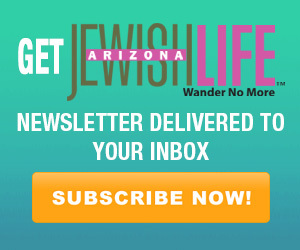 Specializing in print and digital magazines, annual resource guides/directories and contemporary new online media, Arizona Jewish Life is a powerful marketing tool for anyone wanting to reach the Jewish community with impact. Jewish education is more than just an alternative to public school. Jewish education raises Jewish children who know who and what they are, so that they become proud knowledgeable adults. Jewish education is the secret of Jewish survival. 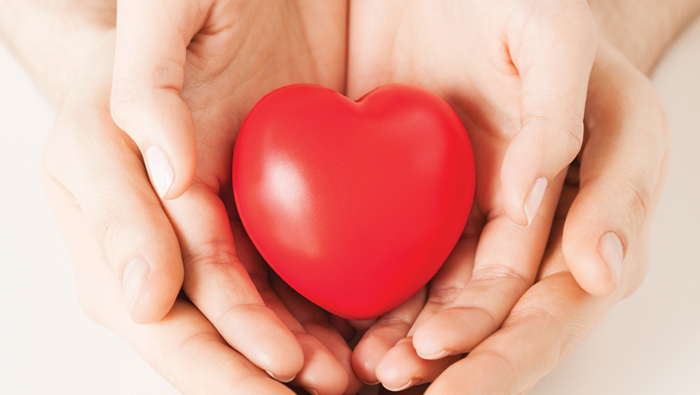 Donate today and receive a dollar-for-dollar tax credit on your Arizona taxes. Be the one who instills a sense of Jewish pride in the next generation. The vision of the EVJCC is to create a strong, connected community through Jewish values and education. Donate today to the East Valley Tax Credit Fund and you will help provide: scholarships for families in need in our Early Childhood Learning Center; scholarships for at-risk kids for our summer camp; childcare for families in need during fall, winter and spring school breaks; kosher food assistance to inbound elderly individuals; kosher food assistance to families in need and monthly tikkun olam projects that help homeless people and families in need. Gesher Disability Resources (formerly Council For Jews With Special Needs) is a 33-year-old nonprofit organization (Tax ID #86-0626273). Our mission is to support individuals with special needs and their families in the Jewish community to lead fuller lives. Programs include: classroom observation and teacher training; special Shabbat monthly services; social groups; disability resource information, and two Jewish homes for adults with developmental disabilities. In November 2015, the agency became an Arizona Qualifying Charitable Organization with the State of Arizona’s dollar-for-dollar tax credit program. JETCO is a school tax credit organization that makes it easy to support Jewish education through personal or corporate tax credit contributions, with no out-of-pocket expense! JETCO participants receive a dollar-for-dollar tax credit on Arizona State income taxes and simultaneously help a child receive an excellent Jewish and secular education. Do a mitzvah – ensure our future – contribute to JETCO! Tax credit dollars at Jewish Family & Children’s Service are used to assist low income children and families. Of the nearly 48,000 individuals served across the Valley, 97% are low income or working poor. Programs include counseling, older adult care management, domestic violence victim assistance, job development for at-risk youth and Jewish social services. The tax credit limits are $400 (single filer) and $800 (married filing jointly) when filing your Arizona state income tax return. The Jewish Tuition Organization (JTO) is a student tuition organization (STO) that provides need-based scholarships with funds raised through the Arizona private school tax credit. The JTO supports students in our community from various backgrounds and cultures who attend one of six Jewish day schools in the Phoenix area. The dollar-for-dollar tax credit is available to individuals, C-Corps, S-Corps and Insurance companies with an Arizona tax liability. The Kivel Campus of Care has been serving the housing needs of the low income, frail, Jewish Elderly for over 60 years. Kivel provides a quality environment, a Jewish atmosphere, food programs, High Holiday and Sabbath services, activities, social interaction, an Assisted Living program and a Memory Care program. Kivel’s goal is to ensure that the low income Jewish Elderly have a home in which they can enjoy the later years of their lives. Arizona taxpayers can redirect their state tax liability to support the work of local Jewish nonprofits. You may contribute to one or more qualified organizations through multiple dollar-for-dollar tax credit programs.